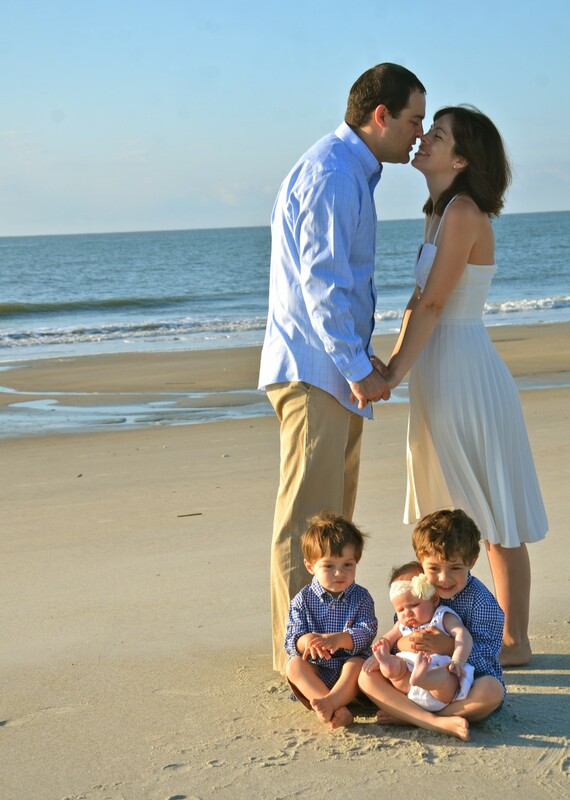 For six months, I have barely seen the hair on my child’s head. My kisses to his forehead have been blocked. Snuggles to his cheek have been interrupted by cold, hard plastic. And, I have been head butted… a lot. But, last week, we said goodbye to all of that. Goodbye to the melon. Goodbye to the DOC band. Six months gone and done. Everett is helmet free. Hallelujah! We pushed through the thousand-degree days in August… and September, and our trip to the beach where that helmet couldn’t get wet. We battled many sleepless nights in the beginning. We bit the bullet and paid for a second helmet completely out of pocket. We celebrated Halloween, Thanksgiving, Christmas, New Years and birthdays in the helmet. 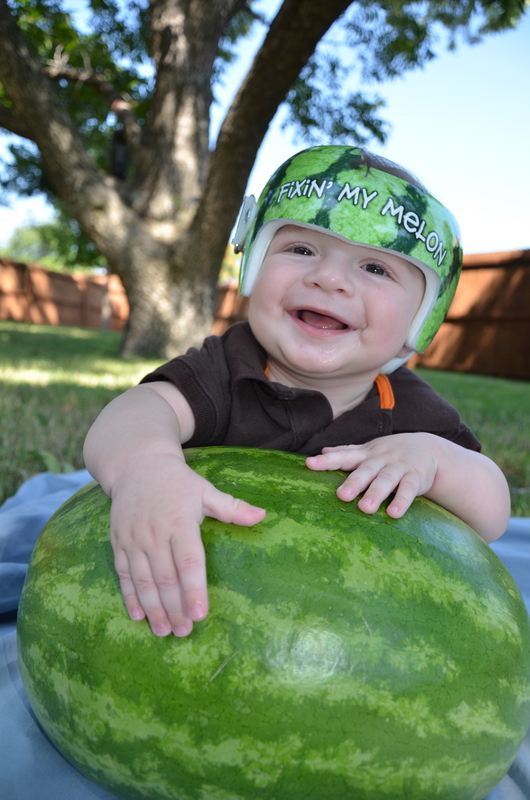 For six months, that little boy wore a helmet 23 hours a day. But, it’s all over, and what a beautiful head he has. The first day free of head gear, I kissed his sweet head at least a thousand times. I rubbed my face against his. I covered him in kisses, and I ran my fingers through his soft, silky hair over and over. How I’ve missed these last six months. It’s taken about a week for Everett to adapt without his extra protection. The slightest bump of the head sent him wailing into meltdown mode, and that first day, there were lots of tears. Dramatic, much? Now, when Austin decides to smack him over the head with a toy or he face plants into the floor, you usually hear me gasping as opposed to him screaming. I think he’s back to being fearless. What a journey it has been, and I’m thankful to bring this chapter to a close. Here’s to no more helmet head butts and smothering my sweet boy in uninterrupted smooches. Everett is a roller. He doesn’t crawl. He doesn’t scoot. 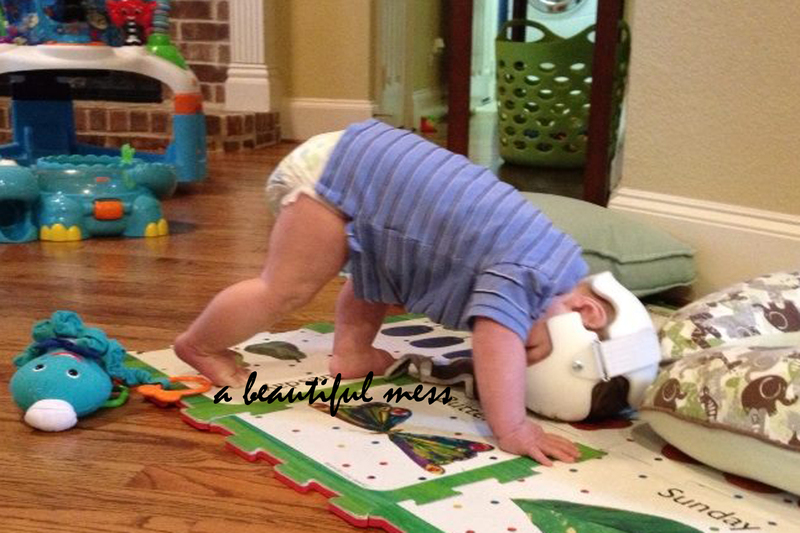 He rolls face first across the floor over and over again, sweeping up our hardwoods with every tumble. He covers an impressive amount of ground in a short period of time. The kid is fast. I really don’t think he will ever crawl. 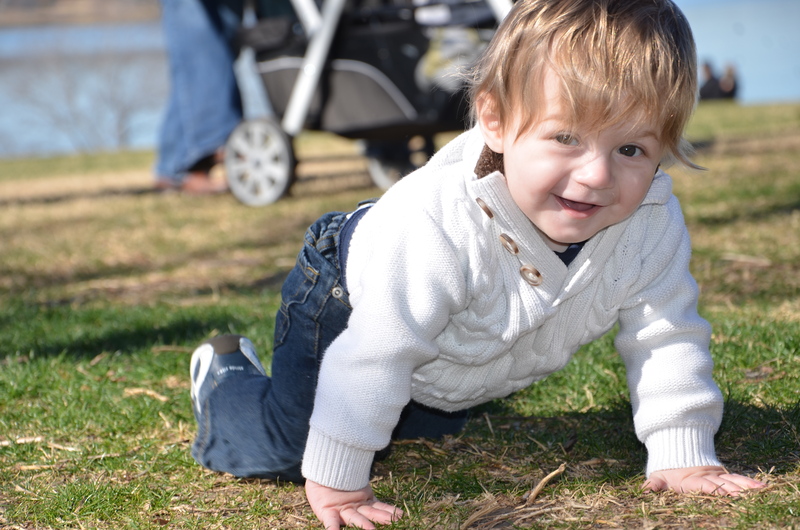 He successfully raises himself on hand and knees, but refuses to actually take that first movement forward… or, backward. Instead, he flops to his belly and rolls and rolls. Or, he straightens his legs out in a yoga-inspired form, attempting to free stand. It doesn’t work out well. The first time we shot video of his nimbleness, family and friends gasped at the sight. Here was our infant spiraling face first against the hard ground. Ouch. But, he was giggling. I blame the helmet for his extreme confidence in rolling. Who else has a kid that repeatedly crashes his head into the hard floor with no regrets at all? Does not faze him. It’s the helmet. Take it off, and he is wailing within five seconds. We have a big problem when he graduates from that helmet. He has roughly two months, give or take, before graduation day. It’s time to work on coordination, son. Better get crawling, or, walking. We should probably just buy him a bike helmet. Once upon a time, Halloween was easy. Austin’s costume was at my whim. A onesie for his first. A cow for his second, and a Clark Kent/Superman outfit for number three. Hit up a couple houses. Easy. 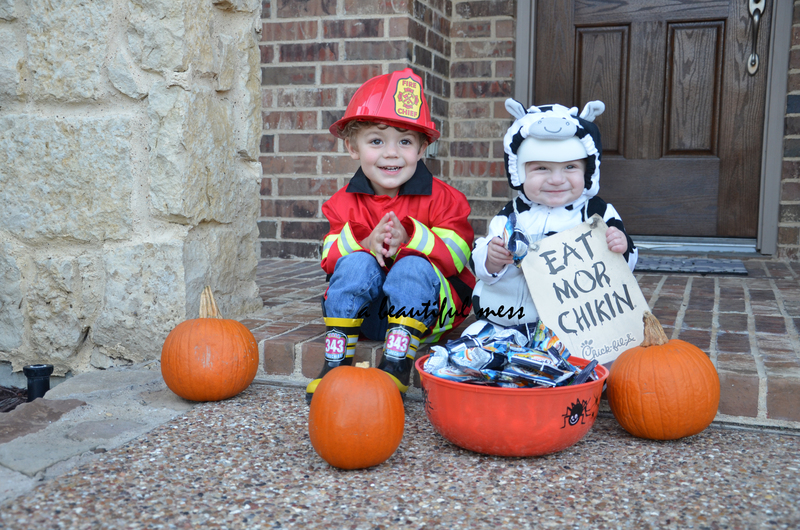 This year, Austin is a farmer, fireman and airplane. And, much to his dismay, I vetoed his request to add a “scary” monster to the list. Three is too young for that business. With Everett, we’ve had to coordinate with the DOC band, aka the helmet. We ran into a hiccup with the original Halloween plan when we were informed Everett would need a new band. 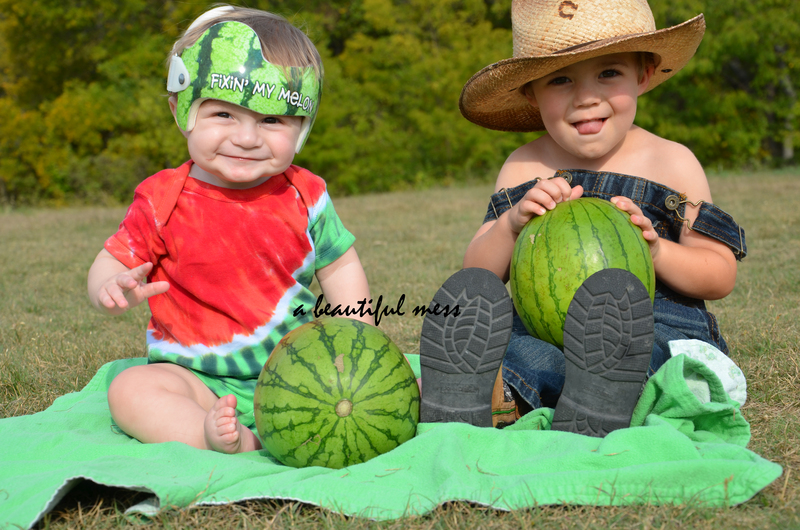 We had planned to match his watermelon head with a watermelon onesie. Scratch that. New plan. 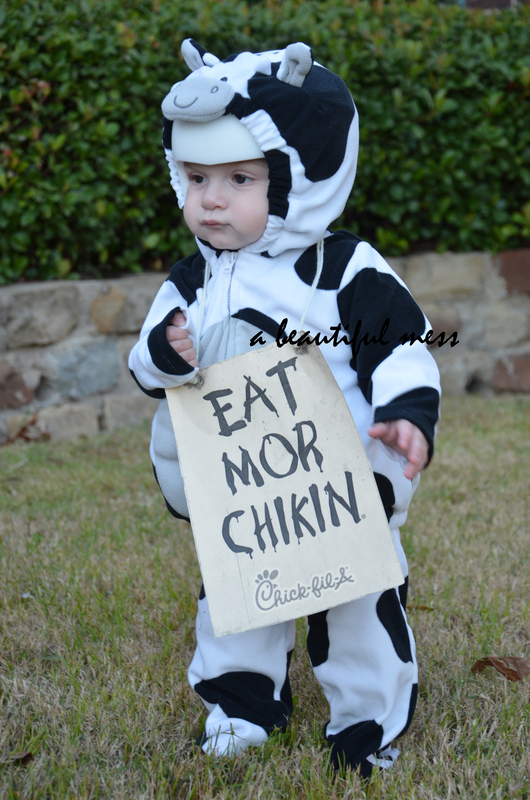 He went as a Chick-fil-a cow to coordinate with his stark white helmet. Five costumes for two kids. We are certainly not the only ones captured in this trend. We have friends that basically have a costume to cover the days of October. And, so many more that have at least two per child. Growing up, I remember having a single costume each year. Pick one. That’s it. Of course, my mom made our costumes. There was no turning back once the sewing machine was humming. Me, on the other hand, greatly enjoy piecing together costumes with items we already have in the house, which leaves things open to multiple half-baked ideas. I fear one day my children will receive trash bags as costumes with the encouragement to be clouds or something. Halloween at its best. Candy for all.